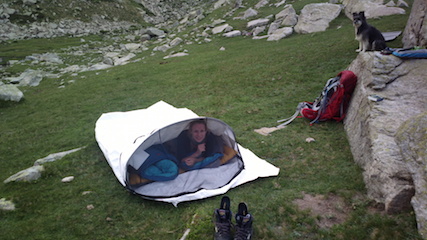 Using the same design as the Uber Bivy, but built for two. 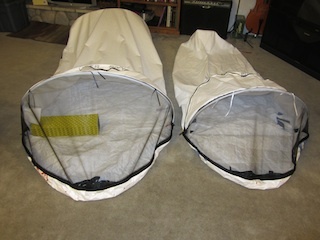 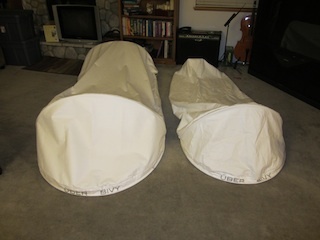 Here is the Double Uber Bivy and the regular Uber Bivy side by side. Note: No longer made with foot pole This model is currently on hold. 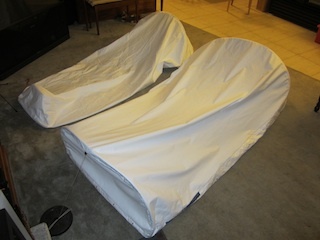 Packed Size 6" x 18"